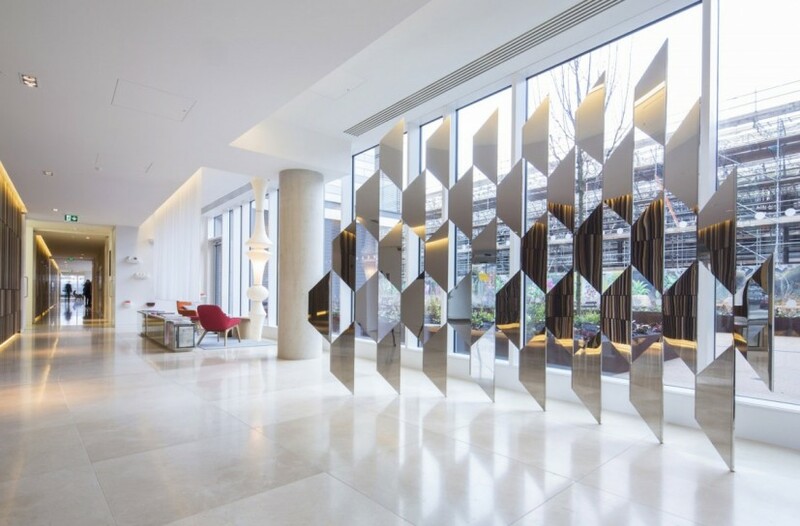 CAS Consultancy was appointed by developers Argent to advise on new sculptural works for for the dRMM designed ArtHouse, the first residential building for the extensive Kings Cross Central development. 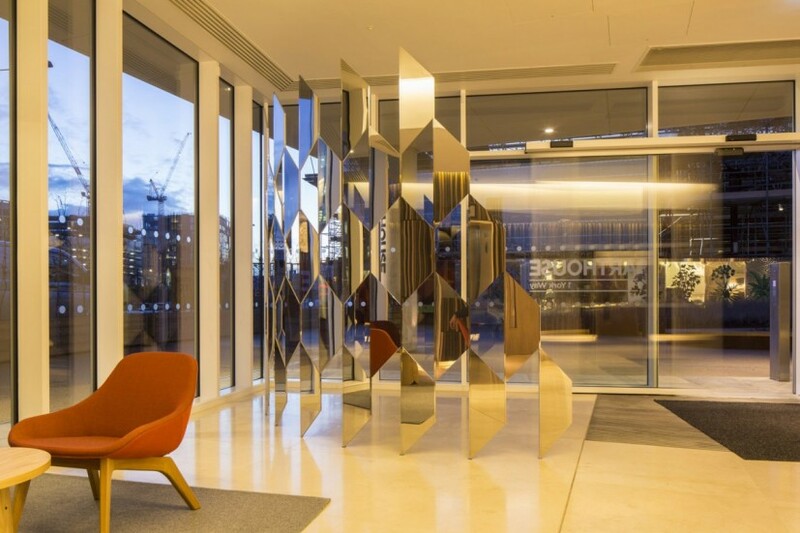 Artist Robert Orchardson was commissioned to design two sculptures for the reception areas of the building. 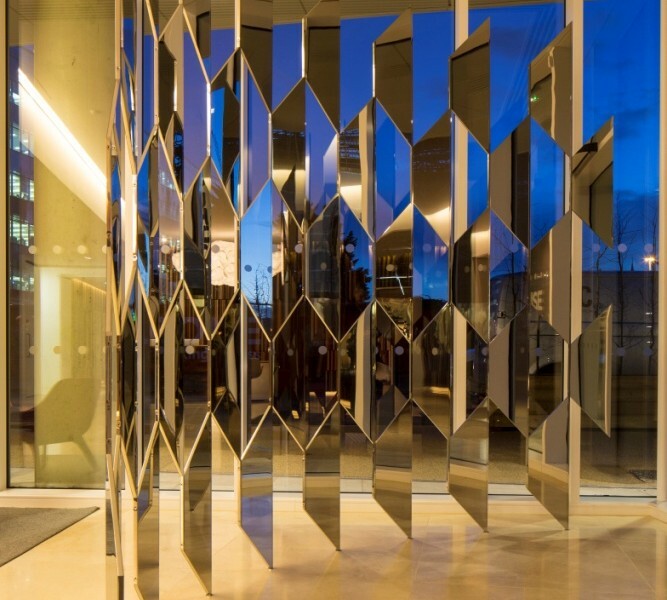 Titled Locus, the works are made of mirror-polished stainless steel facets that reflect both the outside environment and the interior architectural details. These stunning sculptural forms allow residents and passers-by to view themselves, the architecture and landscaping from an array of perspectives simultaneously. Locus was unveiled in January 2014.